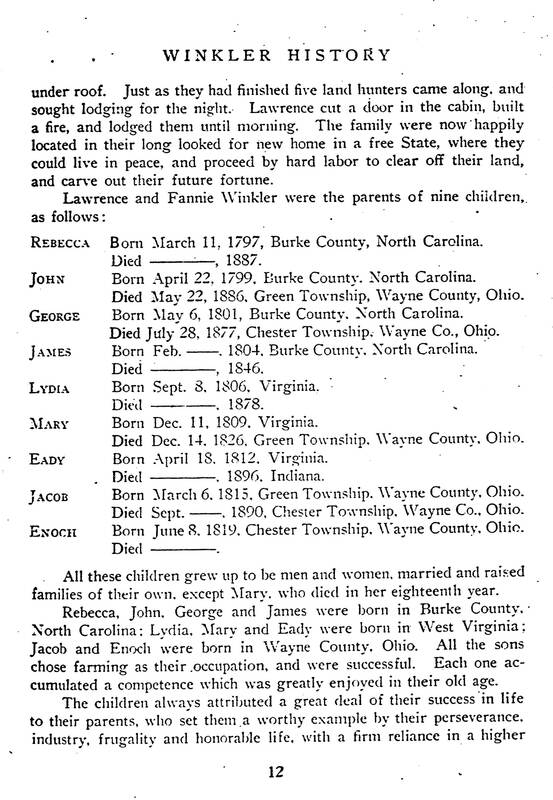 Jacob's Birth in Winkler Family BibleJacob D. Winkler was born on 06 May 18151 in what was then known as East Union, Wayne, Ohio to parents Lawrence and Fannie Winkler.2 Jacob has the distinction of being the first Winkler born in the area now known as Green Township, but it wouldn’t officially be organized as such until 5 Feb 1817. This is where Jacob and Barbara met. 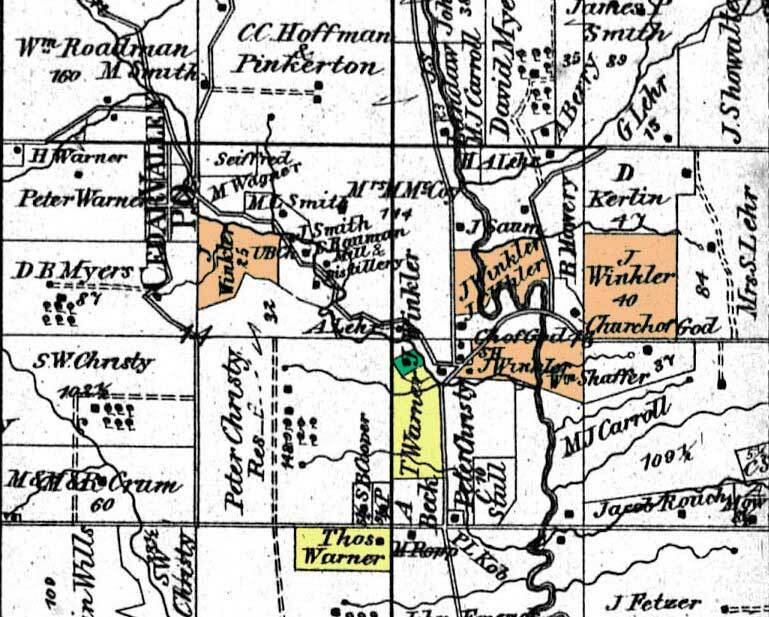 Barbara's father purchased the neighboring farm south of Jacob's father Lawrence in Wayne Township. In Chester Township, Wayne, Ohio there are four J. Winkler properties surrounding the Overton Church at least one of these properties are Jacob’s and one is his son John Wesley.10 Based on the split of properties in 1897, it's likely that Jacob owned the three properties surrounding Overton Church with son John Wesley just west of them. 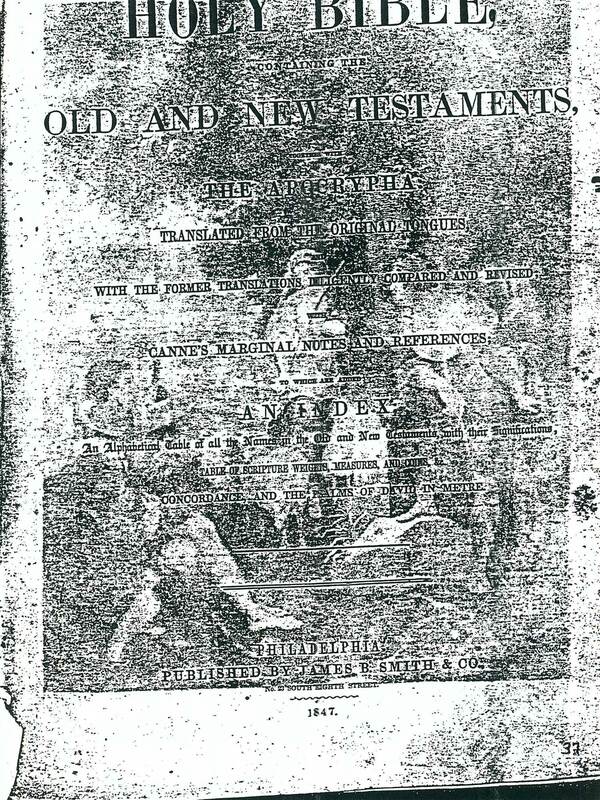 The family home was located on what is now Winkler Road (the property immediately southwest of Overton Church). 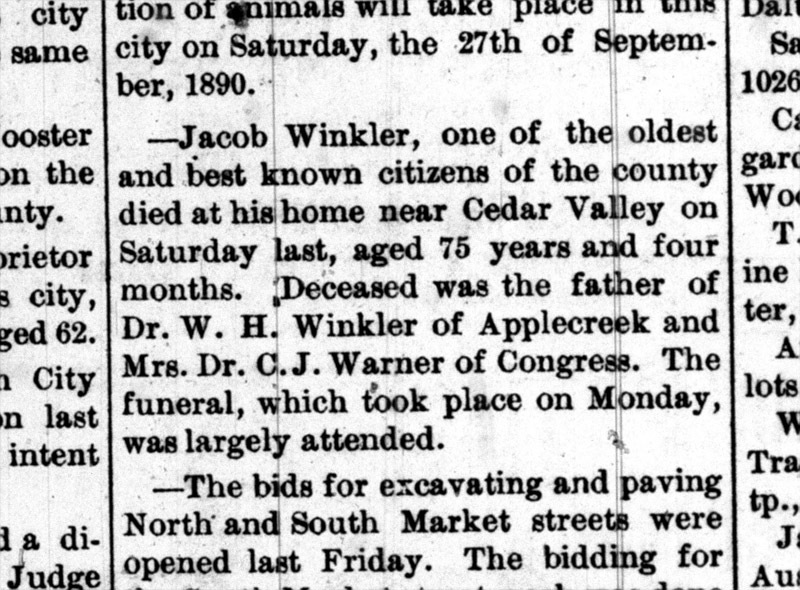 After Jacob's death in 1890, the Jacob Winkler family home, and property it was on, would be inherited by his son Martin Luther Winkler.A The property that borders Overton Church to the east was inherited by son William Hepic Winkler and It appears that the land northwest of the church was sold off for inheritance. A Martin Luther Winkler was the only son of Jacob's that was still living in the family home with his parents at the time of his father's death. 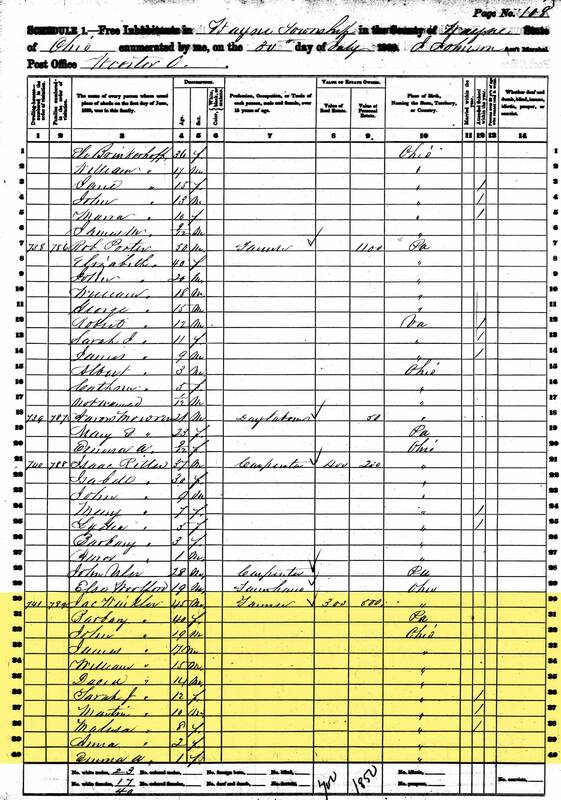 Another reason why eldest son John Wesley didn't inherit the land was that he had previously inherited his father-in-law Thomas Warner's property 11 years prior to his own father's death. 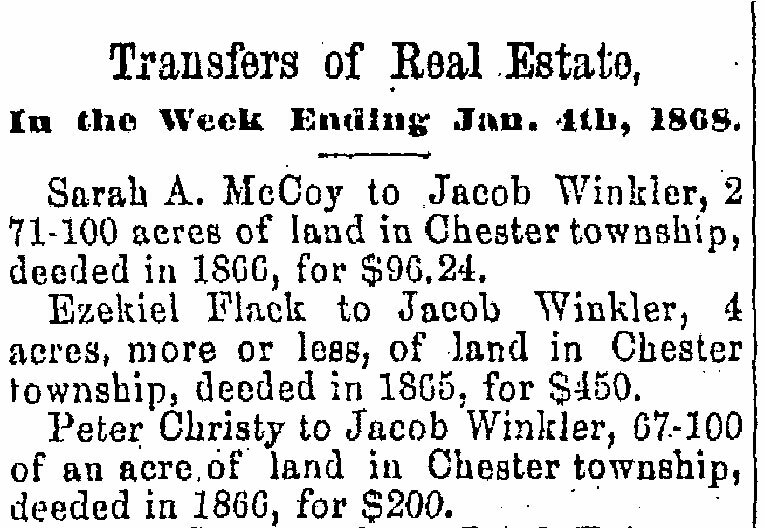 B Jacob's father-in-law Christian Alleman had acquired property in Chester Township, in the same section as Jacob Would later call home, as early as 1840 (25 years prior to Jacob). 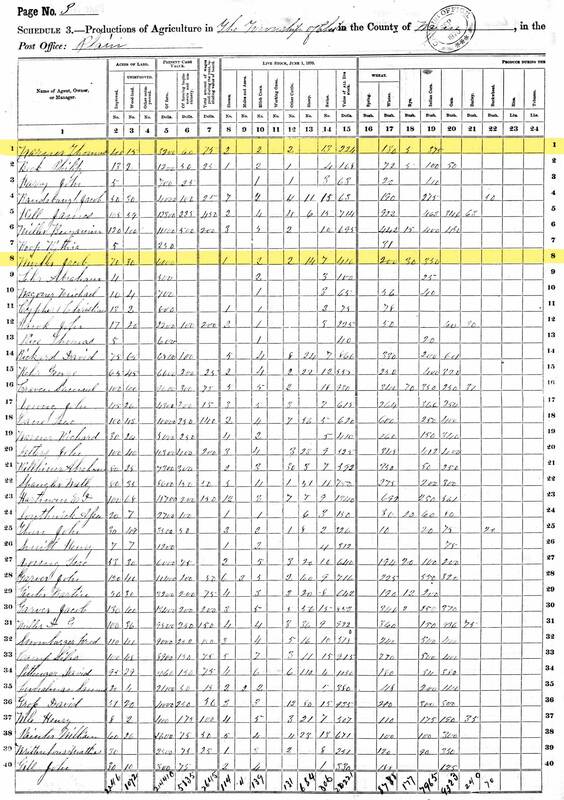 1 Birth Record of Jacob Winkler; Family birth records of Winkler Family Bible; Genealogy Department, Wooster Public Library; Family History Collection; Wayne County, Ohio; Winkler, 1847. 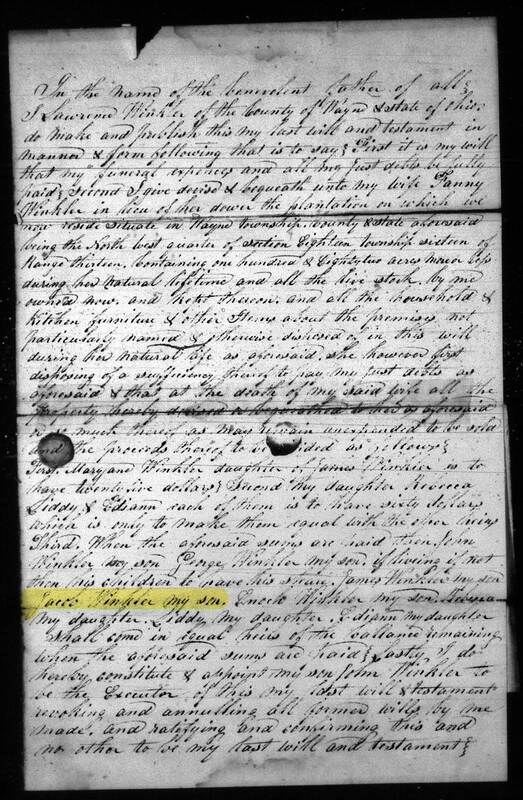 2 Last Will and Testament of Lawrence Winkler; Will abstracts, estates and guardianships Wayne County, Ohio 1812-1851; Wooster Public Library; Genealogy Department; Wayne County, Ohio; Lawrance Winkler; 8 Mar 1848. 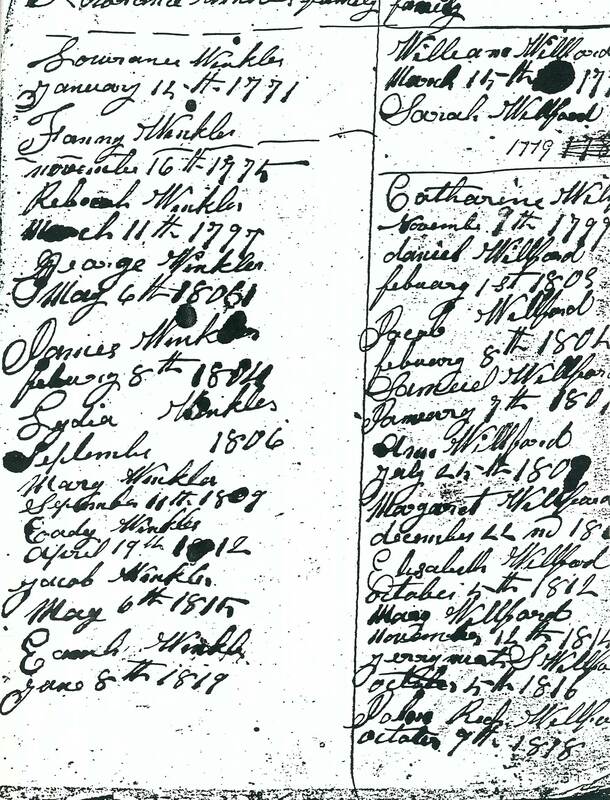 3 Barbara Alleman, "Pennsylvania, Births and Christenings, 1709-1950"; "Pennsylvania, Births and Christenings, 1709-1950," index, FamilySearch (https://familysearch.org/pal:/MM9.1.1/V2NS-QK9 : accessed 05 Feb 2014), Barbara Alleman, Jan 1821. 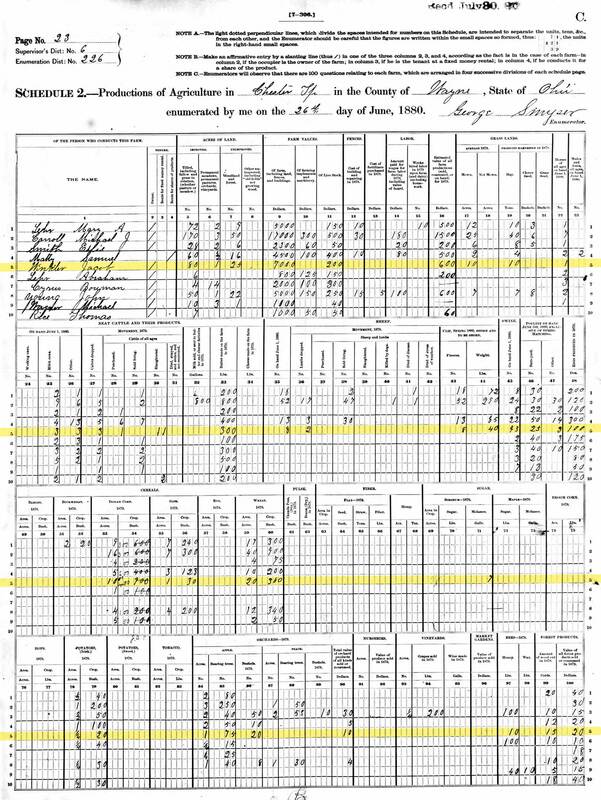 4 Christian Alaman, "Ohio, County Marriages, 1789-1994"; "Ohio, County Marriages, 1789-1994," index and images, FamilySearch (https://familysearch.org/pal:/MM9.1.1/XZDV-SGQ : accessed 05 Feb 2014), Christian Alaman and Sarah Stonebrook, 29 Aug 1833; citing Wayne, Ohio, United States, reference 61; FHL microfilm 425754. 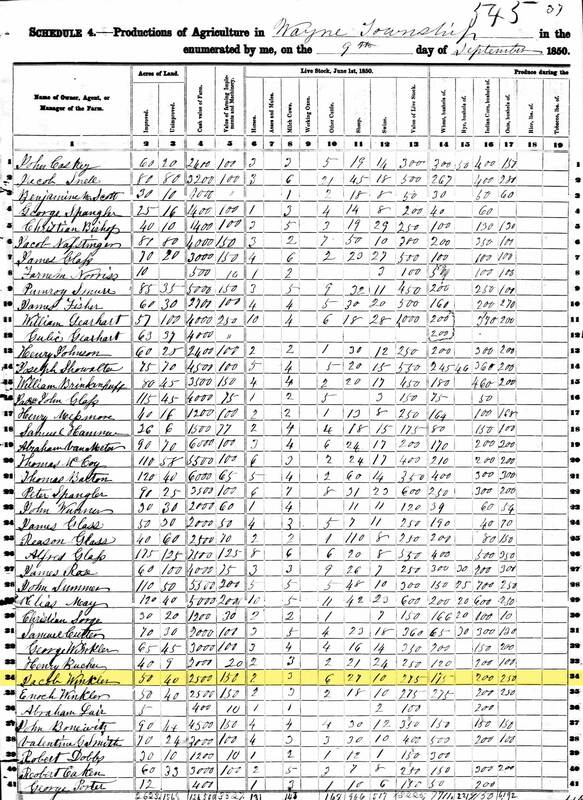 5 Jacob Winkler, "Ohio, County Marriages, 1789-1994"; "Ohio, County Marriages, 1789-1994," index and images, FamilySearch (https://familysearch.org/pal:/MM9.1.1/XZDJ-N6J : accessed 05 Feb 2014), Jacob Winkler and Barbara Alleman, 13 Jun 1839; citing Wayne, Ohio, United States, reference 277; FHL microfilm 425754. 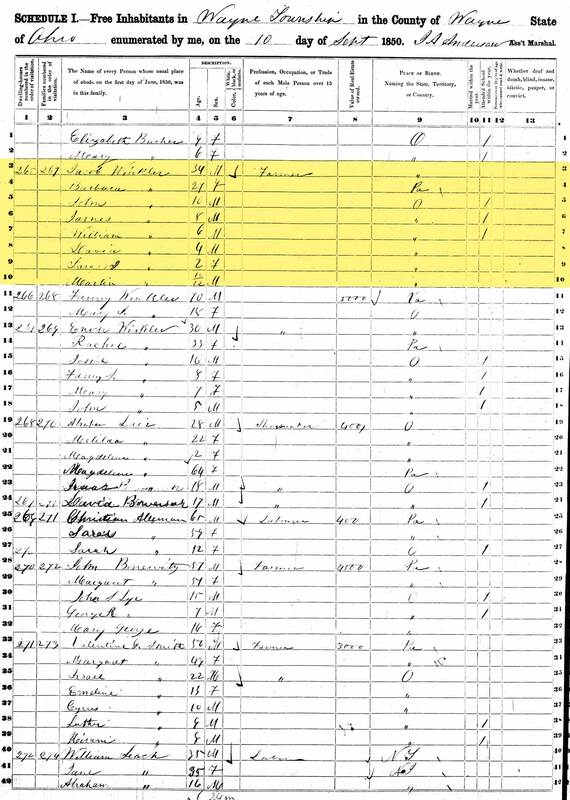 6 1840 United States Federal Census about Jacob Winkler; Year: 1840; Census Place: Wayne, Wayne, Ohio; Roll: 432; Page: 70; Image: 144; Family History Library Film: 0020179. 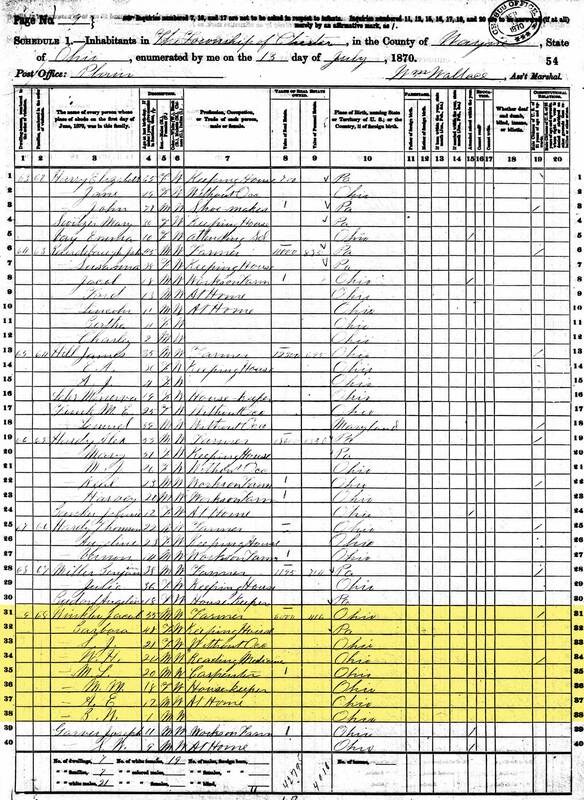 7 1850 United States Federal Census about Jacob Winkler; Year: 1850; Census Place: Wayne, Wayne, Ohio; Roll: M432_740; Page: 291B; Image: 145. 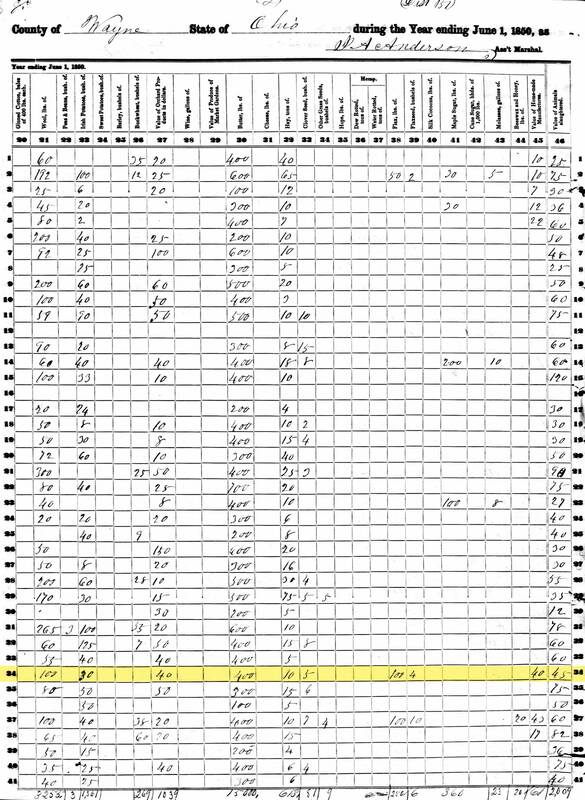 8 1860 United States Federal Census about Jac Winkler; Year: 1860; Census Place: Wayne, Wayne, Ohio; Roll: M653_1050; Page: 162; Image: 327; Family History Library Film: 805050. 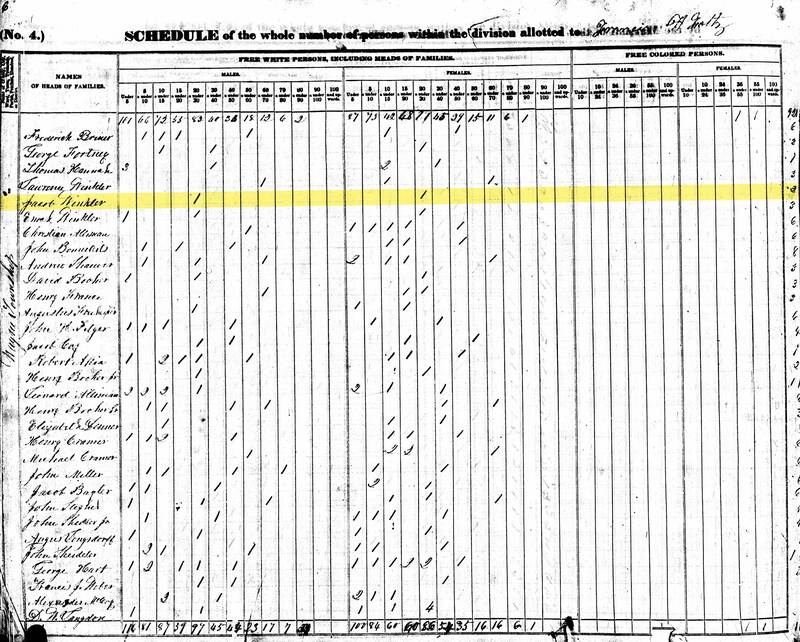 9 1870 United States Federal Census about Jacob Winkler; Year: 1870; Census Place: Chester, Wayne, Ohio; Roll: M593_1280; Page: 54A; Image: 112; Family History Library Film: 552779. 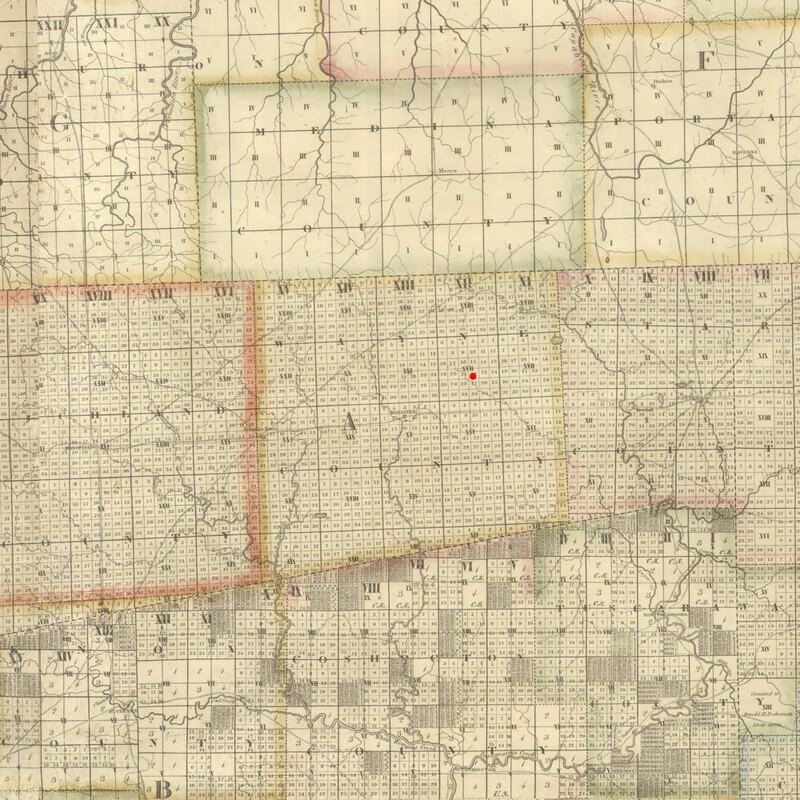 10 U.S., Indexed County Land Ownership Maps, 1860-1918 about J Winkler; Various publishers of County Land Ownership Atlases. Microfilmed by the Library of Congress, Washington, D.C.; Geography and Maps division; Collection Number: G&M_38; Roll Number: 38. 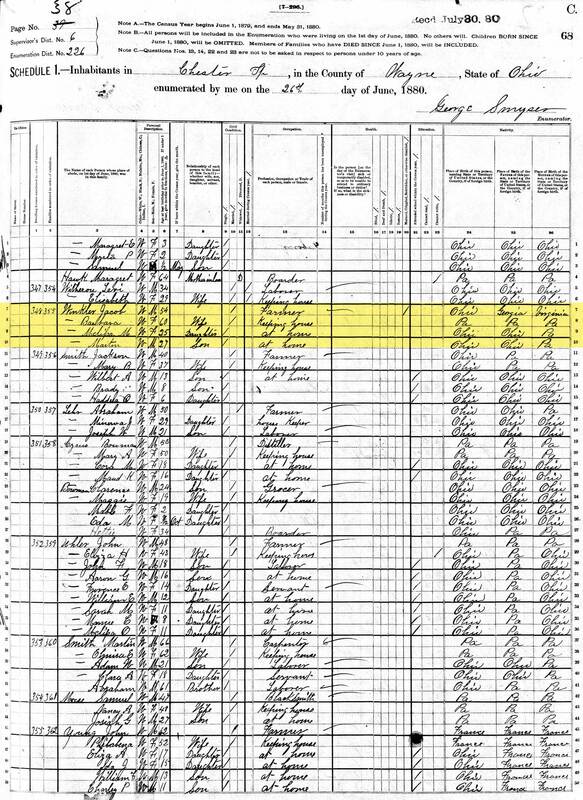 11 1880 United States Federal Census about Jacob Winkler; Year: 1880; Census Place: Chester, Wayne, Ohio; Roll: 1076; Family History Film: 1255076; Page: 68C; Enumeration District: 226; Image: 0664. 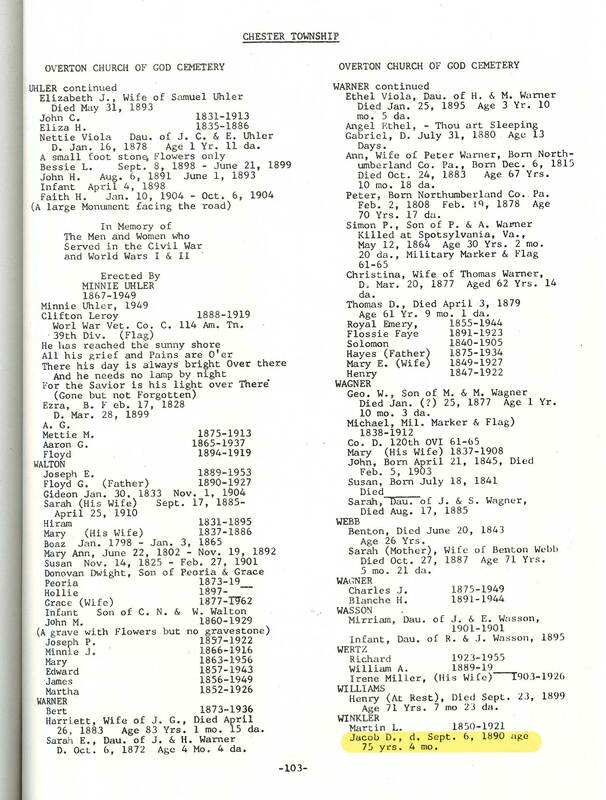 12 Barbara Winkler, "Ohio, Deaths and Burials, 1854-1997"; "Ohio, Deaths and Burials, 1854-1997," index, FamilySearch (https://familysearch.org/pal:/MM9.1.1/F6DJ-WZQ : accessed 05 Feb 2014), Barbara Winkler, 23 Mar 1890. 13 Wayne County, Ohio Burial Records about Barbara Winkler; Wooster Branch of Wayne County Public Library; Wayne County, Ohio; Chester Township; Overton Church Of God Cemetery; pg. 104. 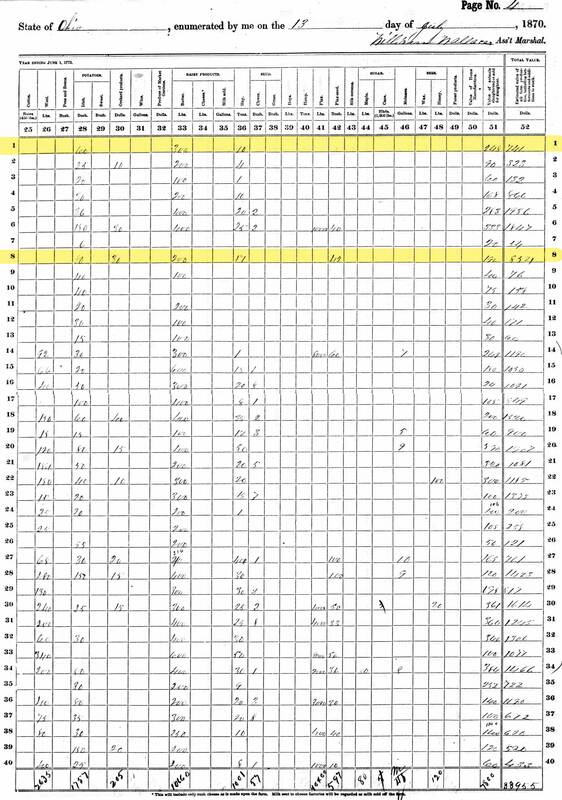 14 Jacob Winkler, "Ohio, Deaths and Burials, 1854-1997"; "Ohio, Deaths and Burials, 1854-1997," index, FamilySearch (https://familysearch.org/pal:/MM9.1.1/F6HB-4MF : accessed 05 Feb 2014), Jacob Winkler, 06 Sep 1890. 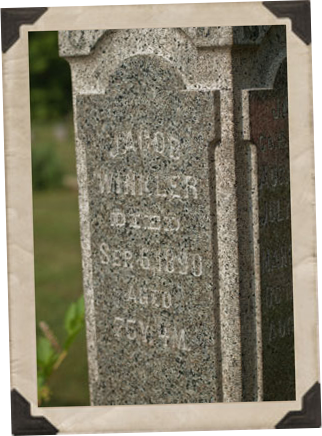 15 Wayne County, Ohio Burial Records about Jacob Winkler; Wooster Branch of Wayne County Public Library; Wayne County, Ohio; Chester Township; Overton Church Of God Cemetery; pg. 103.